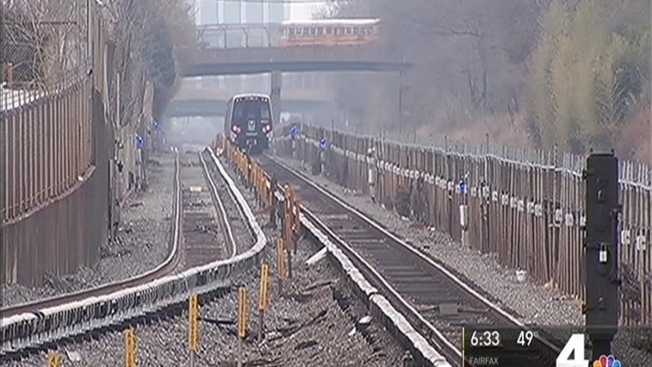 Two rail cars separated from a Metro train near the Twinbrook Metro station Monday morning. WMATA officials said two cars on an 8-car train became decoupled just after 9 a.m.
No one was injured, and all of the passengers got off the train safely. Red Line trains shared a track for about 20 minutes after the rail cars separated. The incident is under investigation. This isn't the first time this type of incident has occurred. In January, a problem with a spring and moisture in the section that hold the railcars together broke apart.